A dental implant is a titanium or ceramic post, like a tooth root, that is surgically positioned into the jawbone beneath the gum line which in return allows the dentist to fabricate replacement teeth. Depending on how many teeth are missing and on your unique dental needs, your dental implant restoration could be a dental crown, full denture, partial denture, or dental bridge. An implant eliminates the concerns for dental decay and provides the most stable and predictable long-term support for replacing teeth. Our Dental team is certified in over 12 implant systems including titanium, ceramic and the new ultradent (immediate load) implants. For individuals with metal sensitivities the ceramic implants give us the option of having metal free permanent restorations. For those that time is critical the implant systems allow us to place the implant, fabricate your permanent crown and allow you to leave at the same appointment eating an apple. Call today to schedule an appointment in Grangeville & McCall, ID. Dental implants have many benefits. They are custom made and designed to look, feel, and function just like your natural teeth. Unlike removable dentures, dental implants will never come loose or shift in your mouth. The conventional implant requires a healing time, bone integration, of approximately 2-3 months in the lower arch and anywhere from 4-6 months in the upper arch. Our team at Two River's Dentistry have recently been certified as some of the first dentists in the US to place and restore the new Ultratooth Implants which have the design technology to allow us to place a final permanent restoration at the same time the implant is placed. This means for example that you can walk into the office with a broken non-restorable tooth, have the tooth extracted, have the implant placed and have the abutment placed and the final restoration placed as well so that you can walk out of the office with the ability to eat and function normally. For every patient at Two River's Dentistry, we do a detailed cost analysis for the entire treatment plan that they desire. For most extensive or full mouth reconstruction cases it is often not financially feasible to complete in its entirety immediately. We pride ourselves on demonstrating how these cases can be staged financially in a way to allow you to invest in ideal solutions that are developed over time. We believe that dentistry is expensive enough to do once so we put a high priority in providing solutions that will give the best long-term returns. Titanium implants are the most common and there are multiple implant systems. Our advanced CT scanning technology allows us to determine precisely what implant system is best for your needs and exactly where placement is the most ideal. For a single tooth replacement there are three components, the implant, which is placed in the bone, the abutment which attaches to the implant and provides a platform on which to build the crown, and the crown itself. Ceramic Implant technology has also undergone tremendous development in the last 10 years. For individuals who have acute metal sensitivities, they provide a great alternative and allow us to do complete restorations with no metal components. We unfortunately can not do immediate load for crown cases and the healing time for bone integration is the same as for titanium. Ceramic implants are about 10% more expensive but provide beautiful cosmetic results in areas we can utilize them. The latest advancement in Dentistry is the ability now for us to be able to literally remove a tooth, place an implant, and place a permanent crown at the same dental appointment. The Ultratooth Implant by Biodent is leading the way in this new technology. Our dental team are some of the first practitioners in the country to be certified for this system. We hope you will take the time to schedule a consultation with us to learn more about the many options that dental implants provide. We also utilize implant technology extensively to support multiple tooth replacements whether it be for permanent fixed restorations or removable partials or dentures. Please feel free to look at the Removable and fixed denture page on this site. If you are considering implants, you must have healthy gums and adequate bone to support the implant. If your bone is too thin or soft and unable to support an implant, you may require a bone graft. Or if there is not enough bone height in the jaw you may require advanced surgical procedures such as a sinus lift. Most dental implants are successful, and there are a few steps you can take to help ensure success and make your implant last..
– brush twice a day and floss once daily. Using interdental brushes, brushes that slide between teeth, can help clean the hard to reach areas around your implant. – smoking can weaken the bone structure and can contribute to implant failure. – cleanings and exams every six months can help ensure your implant is in good condition, and that it stays that way. – don’t chew on hard items such as ice and hard candy because they can break the crown and your natural teeth. When properly taken care of, your dental implants can last a lifetime. 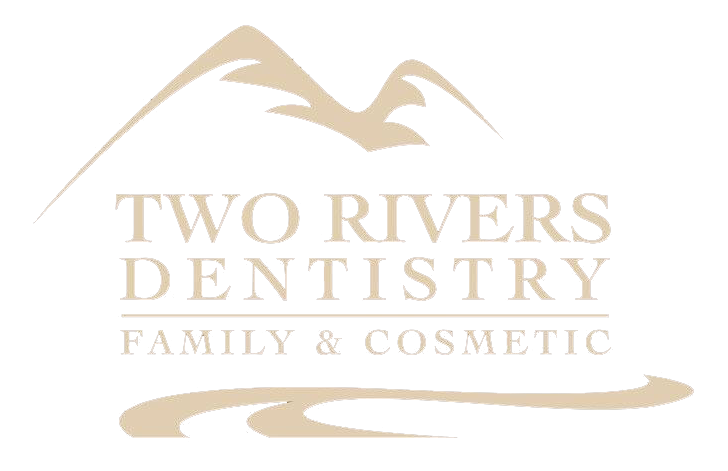 For more information, we welcome you to call or visit us at Two Rivers Dentistry in McCall or Grangeville soon!